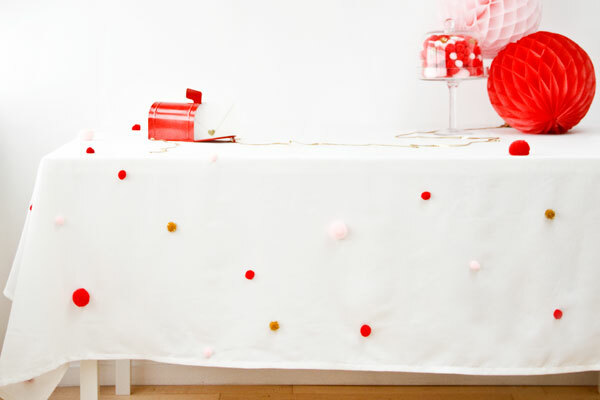 If you are looking for a one of a kind spread for your Valentine's Day party, check out this DIY pom pom table cloth. Dress up an inexpensive white table cloth with pink and red pom poms from the craft store. This DIY is easy enough for anyone to pull off before the big day, no sewing required. Hello Cuteness!!! What a great idea!